There’s this sketch in an episode of the comedy show Portlandia where two people sit down to order at a restaurant, and end up asking so many questions about the former life of the chicken that they’re about to eat, that they leave the restaurant to go to the farm where it was raised in order to get a feel for that individual chicken. You may think this is hilariously outrageous and absolutely no one would do this, but you’d be surprised. In today’s day and age, there is noticeably more emphasis placed on knowing where the food you’re consuming comes from, how it was raised and fed, and how it came to being in front of you on a plate. If you’re one of these people, you’ll be pleased to know that Lobster Shack offers an in-depth self-guided tour of their live lobster processing plant in Cervantes. The tour offers multilingual audio guides for guests in no fewer than 8 different languages, and provides an exclusive look at our process, from how the Western Rock Lobster is caught on the beautiful Turquoise Coast, to how they’re carefully packaged to be shipped across the world. 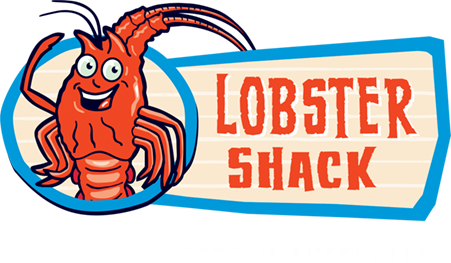 A 70 metre live overhead walkway means that you’re right up close to the action, so much so, that you’ll feel like part of the Lobster Shack family. 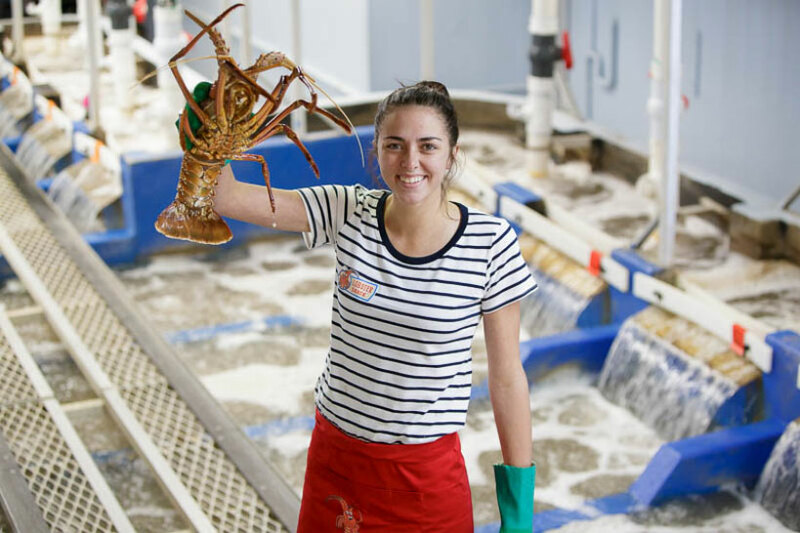 The tour is an education in one of WA’s biggest export industries and how we move the lobster from the ocean, through the facility and on to the export markets. Owned and operated by the Thompson family, who came from humble beginnings 50 years ago when David Thompson Senior began lobster fishing off the coast of Cervantes with his two sons. Now a multi-million-dollar industry, the factory can hold up to 20 tonnes of live lobster at one time. Now, 50 years on the Lobster shack is a Cervantes Institution that sees thousands of tourists a year through its claws. And once you’re finished up with the tour, you can take a little memento home with you from the Lobster Shack gift shop. Choose from t-shirts, caps, or plush lobster toys! We also sell a selection of beautiful shells to add to your collection. If you’re visiting from overseas, you will be able to find a great gift for loved one’s back home at the Shack shop. You’ll obviously be hungry for lobster after the tour so stop and have a meal at the Lobster Shack, conveniently located at the exit of your tour. Just choose your grade of lobster, or ask one of the girls in the shops for some help deciding. After lunch, head down to the beautiful Cervantes coastline afterward with a Simmo’s ice cream (available from the shop) and a swim, or take the short drive into the Pinnacles desert to see the world famous landmark. The town of Cervantes is untouched in its beauty. Here you’ll find the freshest seafood, the most authentic people and some natural beauty in the country. So if you’re on a trip through the beautiful Cervantes and love your lobster, come on in to Lobster Shack for our awesome factory tour. Our amazing team members have all the answers to your questions about lobsters and our processes! 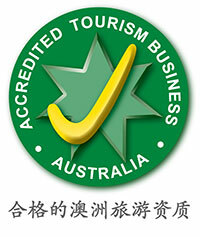 Head to our website to book your tour or for enquiries, call us on 9652 7010.